Have you ever invited a special guest over for a well-thought dinner when something goes awry? Either the side dish didn’t turn out correctly or you forget a special ingredient? Well this dish uses common staples in the most basic vegetable garden, and with a short prep time you can pick the ingredients right from the earth and serve them to your special guest in under an hour. Cucumber, tomato, and onion salads are a common side dish throughout the world, particularly prevalent in the middle east. Variations known as Salad-e shirazi in Iran, Fatoush in Lebanon, and Salata Baladi in Egypt. Not only does this classic combination of ingredients signify summer in the middle east, but all over the world. This salad has is slightly more interesting then any of the classic versions because they are treated as individual components. The onions go through a nice lemon and olive oil marinade, which brightens and enhances the flavor. The fresh cucumbers get Chef David Chang’s simple quick pickle, which contain a 3:1 ratio sugar to salt (Momofuku). And the Tomato gets just a light sprinkle of coarse kosher salt or a finishing salt of your choice. Slice cucumber into circles. 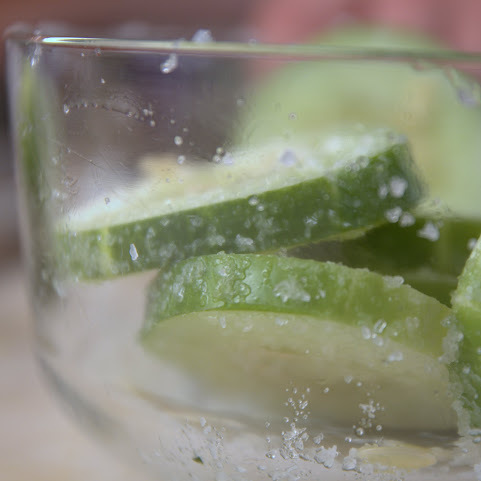 Using David Chang's 3:1 quick pickle ratio cover cucumbers in 1 T of sugar to 1 t of salt and let sit. 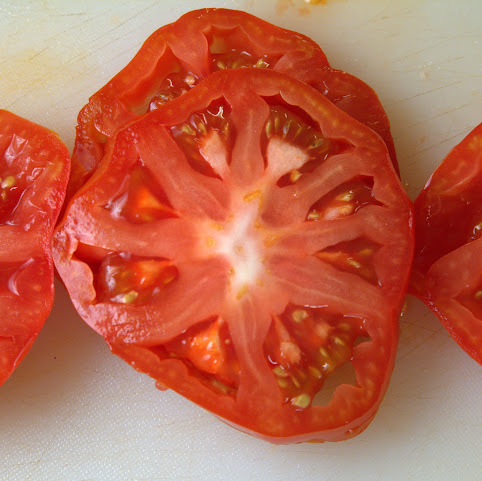 After an hour has passed slice the tomato into even sized slices, and lightly salt them. Stack the tomato, cucumber, and onions, and repeat up to two more times. Drizzle olive oil and balsamic vinegar on the salad and plate. Chang, David, and Peter Meehan. Momofuku. N.p. : Clarkson Potter, 2009. Print. Olver, Lynne. "Ice cream." Foodtimeline.org. N.p., 2004. Web. 14 Aug. 2014. <http://www.foodtimeline.org/foodicecream.html>.